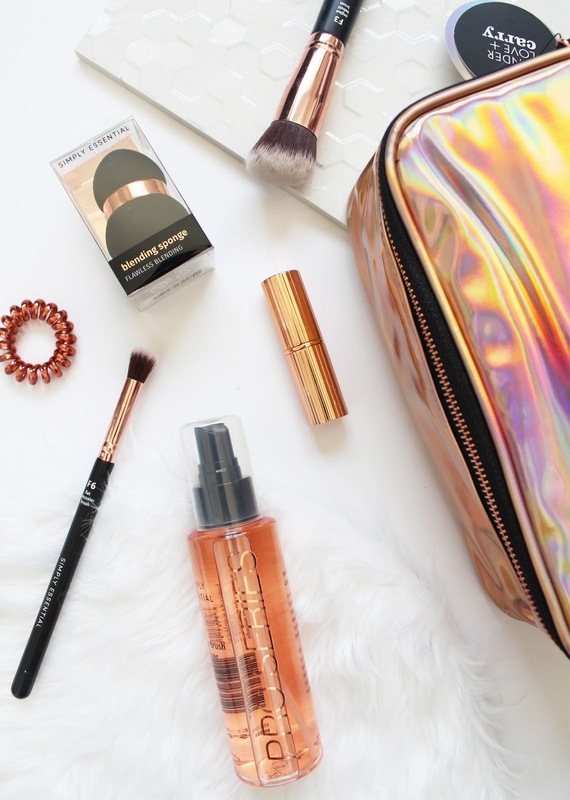 Probably the most amazing and thing are the brand new Tender, Love + Carry makeup bags that come in the most beautiful rose gold/copper holographic material. I mean, LOOK AT IT. Throw some marble in it and I am set! 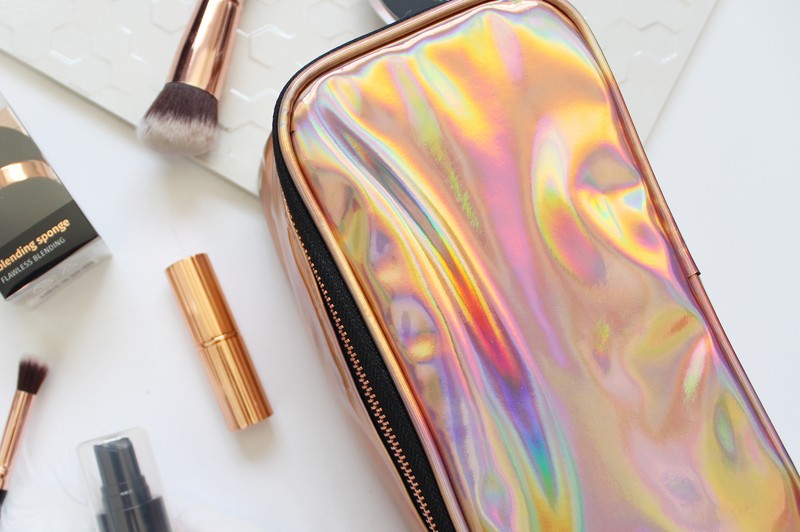 This is the Holographic Utility Box - Rose* (NZD $24.95) and is the ideal bag for your makeup, with an added brush holder on the underside of the lid (see below for the inside). This range also comes in holographic silver, which is just as epic. There are a few ranges of sizes too, with a smaller one at $14.95, and a large case for $36.95. This would make an ideal Christmas gift, stuffed with some products inside! 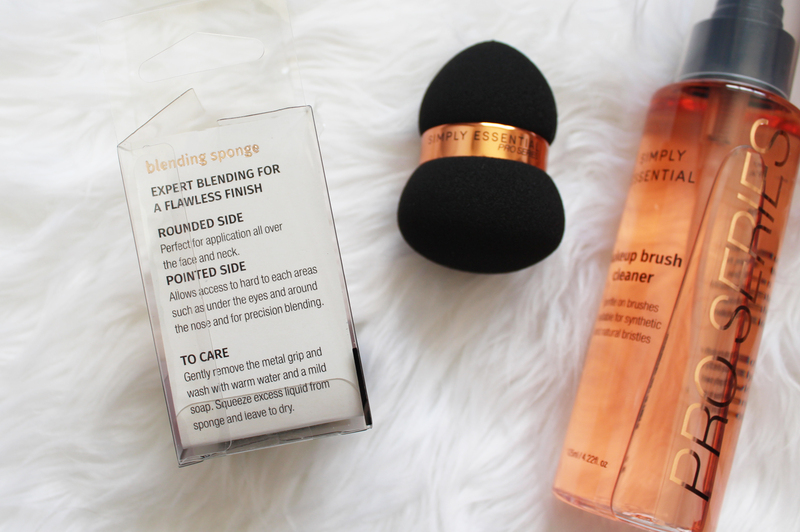 Following on the rose gold trend is the new Simply Essential Pro Series Blending Sponge* ($14.99). It is an interesting sponge with a large flatter end and a pointed tip, with the rose gold ring in the middle. I wasn't sure whether to leave the ring on it, as when I was wetting it, it got in the way of squeezing out the excess water. It is good to pop it back on after you have finished so it keeps its shape - plus it looks good. 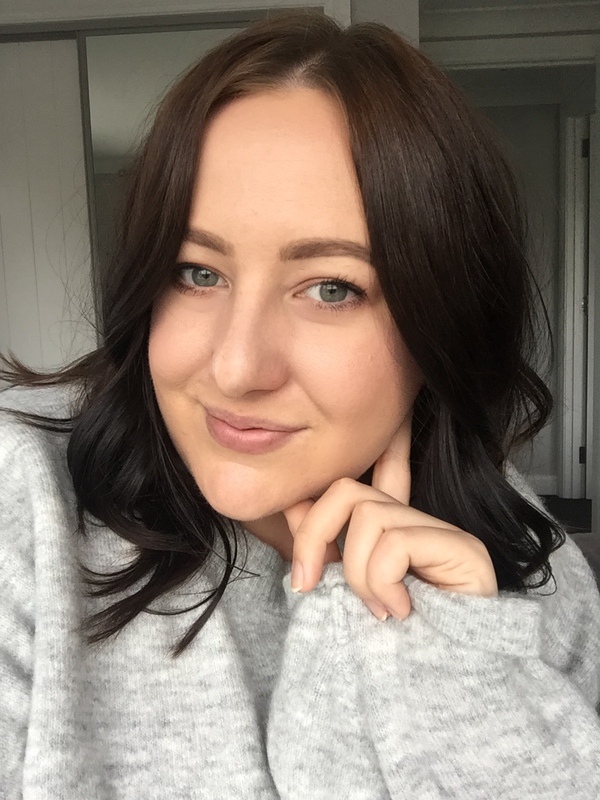 This expands out quite significantly when wet but I found it a bit denser than my much loved Real Techniques Miracle Complexion Sponge. As for blending it did an ok job, I felt like it sucked up more foundation than usual, so I definitely prefer the RT sponge over this one. 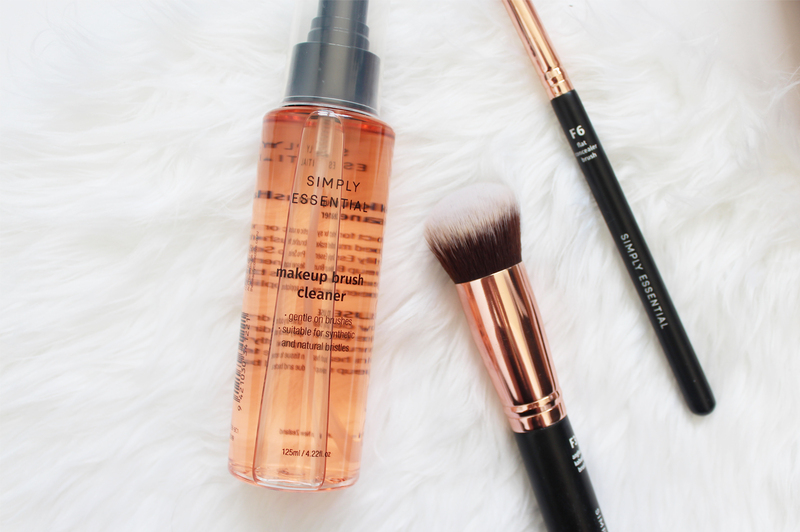 Along with the newly released Simply Essential Pro Series Brushes* (I reviewed a few of them here), now they have the Simply Essential Makeup Brush Cleaner* ($18.99) which is more of a spot cleaner more than it is a deep clean. You just spritz this onto your dirty brush with no water and then rub it onto a towel or a paper towel and the bulk of the makeup runs out of it. It also makes them dry quickly, so if you are an MUA or like to keep your brushes clean after each use, this would be a great addition. How great is this makeup bag though? I just love it and I find it such a good size! All of these products can be found online at My Beauty Store, or at Farmers and selected pharmacies. 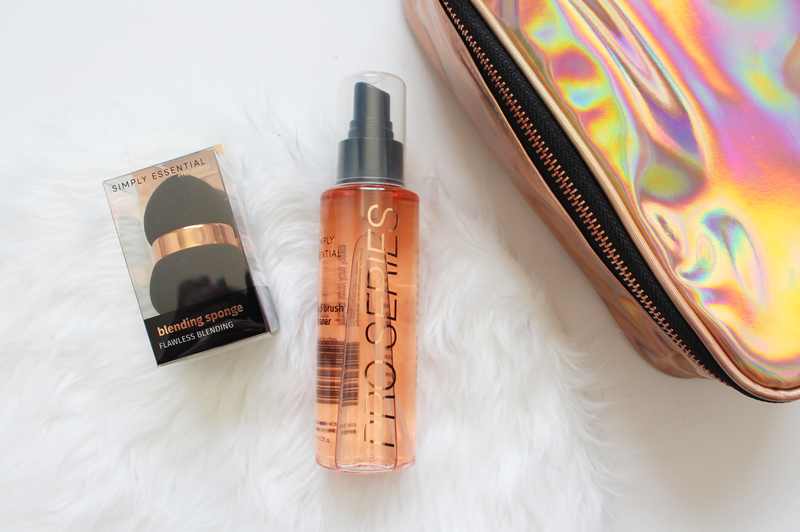 What do you think of rose gold? Do you love it, or are you a bit over it?